West End Salvage in Des Moines is the focus of a new TV show. A business in central Iowa will be featured on national television program over the next several months. The series premiere of “West End Salvage” will air tonight (Thursday) at 7 p.m. on HGTV. Don Short, owner of West End Salvage in downtown Des Moines, says tonight will feature two episodes. Additional shows will air each Thursday at 7 p.m. over the next 12 weeks. A production company in Los Angeles contacted Short about a year and a half ago with the idea of pursuing the program. “It’s a show about us buying things from people and turning the salvage pieces we buy into furniture that go into people’s homes,” Short says. “Every episode, we do a makeover in 13 different homes here in Des Moines.” Filming for the show was done last June and between September and November. One of the episodes features work done with pocket doors. “We took pocket door tracks out of old buildings and then added antique doors to them. They slide back and forth on the front of the wall,” Short explained. 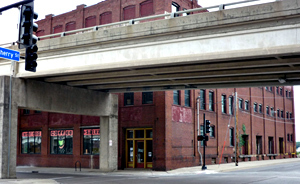 West End Salvage includes a coffee shop and covers four floors of a warehouse in downtown Des Moines. The business acquires its inventory from around the country, as well as England, the Middle East and elsewhere. Short is also the owner of Taylor’s Maid Rite restaurant in Marshalltown.